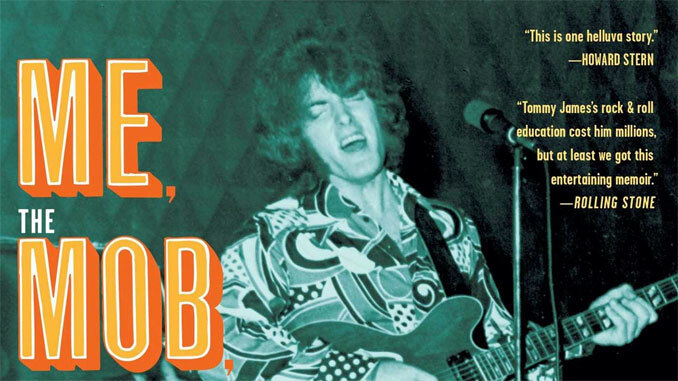 Tommy James’ one helluva ride through his eventful life is documented in this attention grabbing one helluva memoir that got pages that turn themselves. First of all, I have to confess that the protagonist in Me, The Mob, And The Music: One Helluva Ride With Tommy James & The Shondells by Tommy James (1947–) with Martin Fitzpatrick, is not one of my top favorites artists since I think Tommy James tried too much to accommodate, thus changing style like a chameleon depending on what mainstream preferences where at hand. All this made his musical identity somewhat blurry. With this said, Tommy James belongs anyhow (most probably due to his ability to fit in) to the most commercially successful pop artists ever – even though he is not listed among the top 100 according to Billboard. any longer. Nevertheless, his long career generated some really good songs I think, especially up to 1969. (There are some personally picked favorites at the end of the article for your listening pleasure after reading this review.) Bottom line of this introduction, is that it can be very rewarding to know more about experiences of artists that not necessarily are right down your own alley of taste. This book is one of these, for sure. The main reason for this is the candid and detailed description of how Tommy James’ record company in New York, Roulette, was governed (which explains why “Mob” occurs in the title). Co-author Martin Fitzpatrick (right) unintentionally diverted attention from his usual “hidden microphone stunt” (with the help of the book in question) with an elegant scarf unbeknownst to Tommy James (left) at the book launch event in 2010. Tommy James (née Thomas Jackson) grew up as one of the many post-World War II “baby boomers”. He was musically inclined already as a toddler, listening to the radio, records and practicing his first instrument, ukulele – soon to be changed for the guitar 1956 when Elvis Presley broke loose. 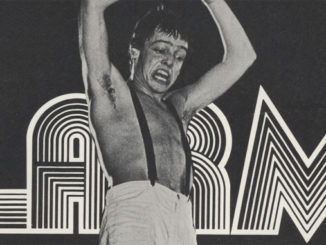 As teenager he was in (one of the dozens of bands named) the Tornadoes. Their first single (1962) sold well locally and was supplemented by intensive touring near their home. Just as much as Elvis impressed Tommy when he was a young boy, the British Invasion, fronted by The Beatles, made similar impact on him as a teenager. At that time, The Rivieras’ cover of Joe Jones’ California Sun began to break nationally in the US. The Rivieras (ex-The Playmates) was a well-known band to Tommy James, and their sales figures showed him what good distribution meant to success. If they made it, so could we, he thought. His career took off from there like a two-step rocket. 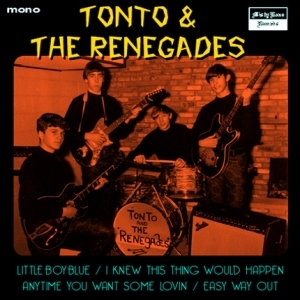 First, in 1964, with a garage style cover of The Summits’ Hanky Panky – a rather obscure Greenwich/Barry B-side released in 1963 – that eventually resulted in a record contract with Roulette in 1966 through an unexpected surge of popularity in Pittsburgh and subsequent extensive boot-legging. 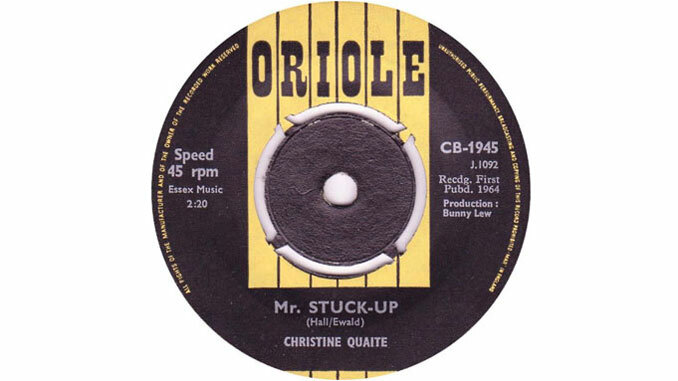 Other record companies were certainly interested but when Roulette president, Morris Levis (1927–1990), made it clear through a string of telephone calls to them that he insisted to sign the band, all other companies backed off – including the majors. (This story is however somewhat moderated in Richard Carlin’s book Godfather of the Music Business: Morris Levy (2016).) Nevertheless, the bottom line is that the signing is an example that Levy’s decidedness had some real impact in the established music business at that time. The deal meant that Tommy James got almost unlimited artistic freedom. But, as always, there is no such thing as a free lunch. 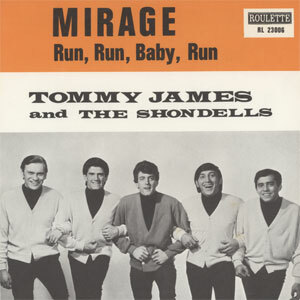 In this case the downside showed up as Levy’s reluctance to give back a fair share of the money Tommy James and The Shondells generated when they became Roulette’s cash cow # 1 for several years in the 1960s and into the ‘70s. Management by fear was indeed also present within the company. 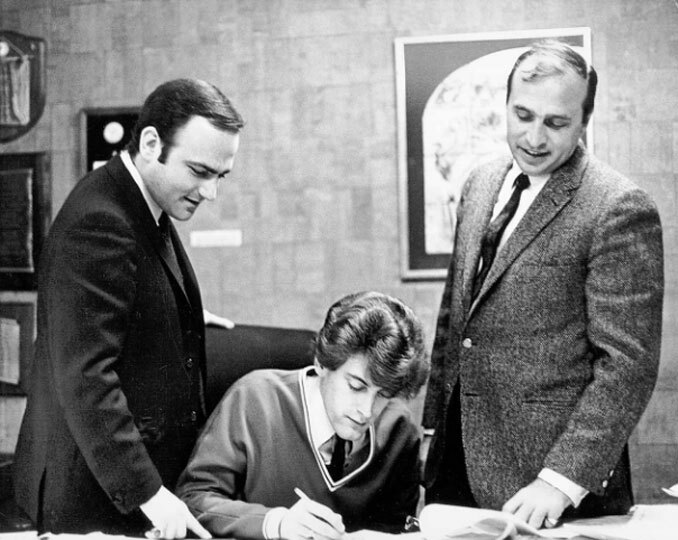 Young and naïve Tommy James signs a contract of exclusive management in 1966 (manager Leonard Stogel to the left). Tommy James’ relationship with Roulette ended up in the beginning of the ‘70s with a stunning 40-million-dollar royalty deficit for him (multiply that number by six to get an idea of what this is worth in 2017). He was partly compensated first long after when Rhino had acquired the rights to Roulette’s catalogue in 1989. 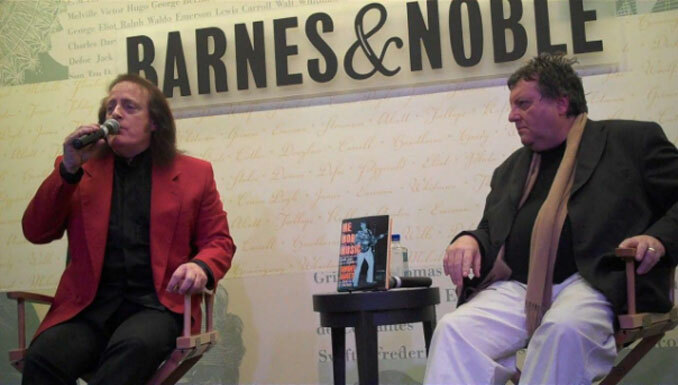 Morris Levy (right) was a relentless “business man” involved with the Mafia as Richard Carlin’s book “Godfather of the Music Business: Morris Levy”  explains in detail. 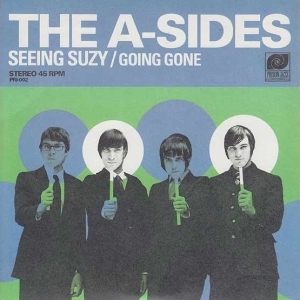 Second career step came two years later when the self-penned Crimson And Clover from 1968 crossed over to the album-oriented rock market (that took of by the introduction of FM-radio) – thereby saving the group from succumbing in the transition period when music listening based on singles changed to favor albums instead. Thus, Tommy James and The Shondells survived this important shift and managed to stay on top for another couple of years, as opposed to many other contemporary bands that were built around the, at that time, increasingly outdated 45 RPM-concept. 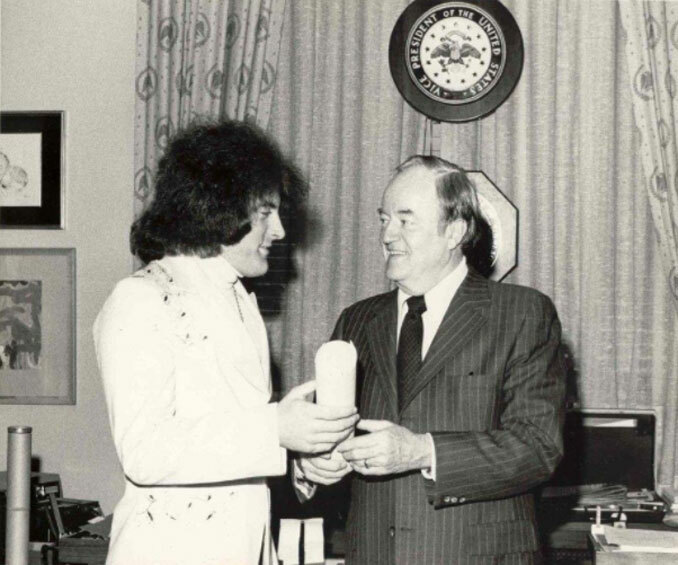 Pop music began to get widely used in promotion of political views in the ‘60s due to its popularity among the young voters, as shown by Tommy James’ tour with Hubert Humphrey’s presidential campaign for the Democrats in 1968. 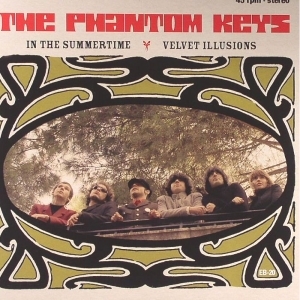 Humphrey wrote the liner note to the Crimson and Clover-album as a token of gratitude. An odd twist indeed. It is hard to comprehend how all these achievements came about in an environment with strict mob rules that made Tommy James walk on egg shells, especially when he repeatedly had to beg for money at Levy’s office. His apprehension was reinforced since he connected Roulette’s fear management with arrangement of the assault of ex-Roulette artist Jimmie Rodgers on the San Diego Freeway in 1967. James regarded this as a warning sign to other Roulette artists not to be cheeky. The fear was so strong and long-lasting that Tommy James waited to make this book until all mob key figures in it had passed on. His postponement is understandable. Think about the character of Hesh Rabkin in the gangster TV-series The Sopranos. He was a composite modeled after Morris Levy and his partner Gaetano Vastola. Since many individuals – mobsters and non-mobsters – are mentioned, a record of all important characters at the end of the book would have been handy to consult at times. 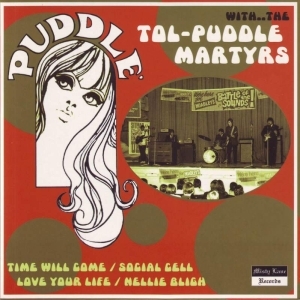 Swedish 1967 sleeve. “Mirage” has the reverse chord progression of “I Think We’re Alone Now”. 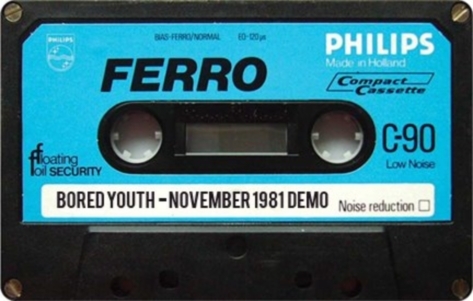 This idea was picked up when a master copy of “I Think We’re Alone Now” by mistake was inserted wrongly in the reel-to-reel tape player, thereby causing it to play the song backwards. Tommy James was certainly speed-blinded by his own popularity in such an extent that he egoistically neglected his family life and developed a drug habit in combination of an unhealthy father-son relationship with Morris Levy. This escalating intensity and friction is meritorious described by a narrative technique that involves acceleration of the tempo in the text all the way up to the last chapter in which calm is brought to his existential chaos by a de-tox treatment at the Betty Ford Center and a religious conversion into a new-born Christian. In that way, the book has the dramaturgical structure of a movie script, thanks to Martin Fitzpatrick’s sharp writing and Tommy James’ sense for details. This, in combination with that it is hard to come up with a better tale in a novel, makes a motion picture the logic extension of the memoir. There are indeed movie plans, even though the slow process challenges the patience. Last news is that producer Barbara De Fina (Goodfellas, Cape Fear and The Grifters) leads the project. It will be interesting to see what cameo role the still very active Tommy James will have in it. Because John Lennon’s re-used the “Here come old flat-top” line of lyrics in “Come together” from Chuck Berry’s “You can’t catch me”, which Morris Levy was the publisher of, Lennon was threatened by a law suit for copyright infringement unless he recorded at least three Levy-published songs to the album after “Mind Games”. When Lennon did not (cf. “Walls and Bridges” – in fact recorded after “Rock’n’Roll” produced by Snail Spector), Morris Levy sold these under the name “Roots” by mail order after Lennon thoughtlessly handed over the rough mixes of “Rock’n’Roll” to him. “Roots” was promptly deleted once legal action was taken against it. The legitimate album was rush-released shortly thereafter.